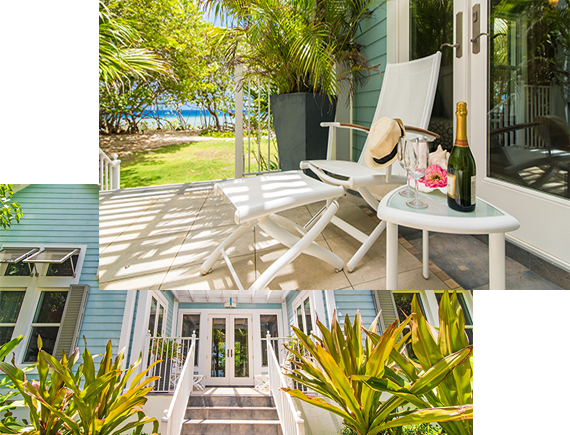 Welcome to Sea Orchard Retreat, the perfect place for you and your family or group to relax and soak up the Caribbean sun, sand and sea and enjoy the beauty of the Cayman Islands. As well as vacations, we also host weddings (click for photos) Christian retreats and marriage retreats. Contact us at seaorchardretreat@gmail.com for further details or to set up your own customised retreat. We welcome guests to check-in every day of the year except Christmas Day, Boxing Day (26 December) and Easter Day, although your stay may include any of those days. 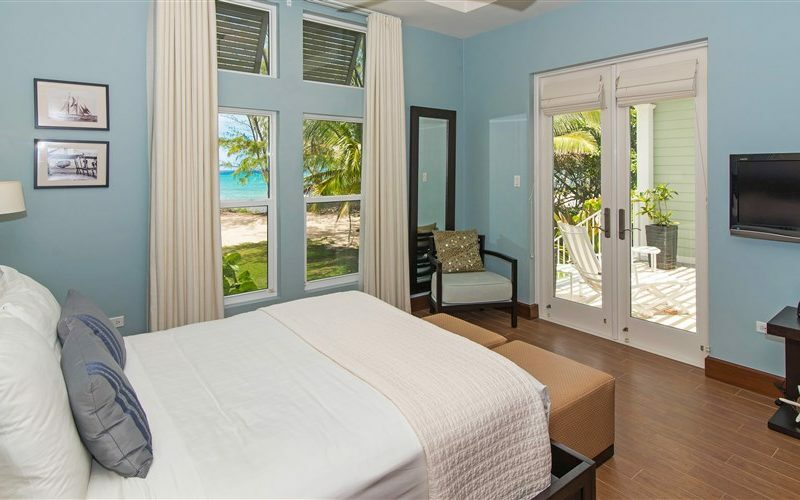 Sea Orchard Retreat is nestled in a secluded corner of West Bay in the Cayman Islands, just a few minutes from the famous Seven Mile Beach with all its restaurants and other amenities, and a short drive from George Town. 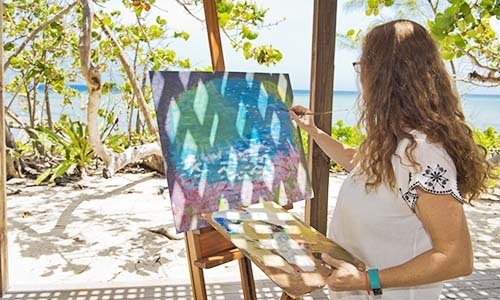 Four Caribbean-style cottages sit within a few paces of the sea, and are surrounded by beautifully landscaped grounds which give it a heavenly tranquil atmosphere. You really feel like you are miles away from civilization. Avocado symbolizes love and fertility and is believed to benefit the heart, support healthy blood pressure, and lower cholesterol, as well as being good for those suffering with diabetes, cancer, vision problems and depression. It can be eaten with both savoury and sweet food. Click below to find out about the cottage named after this nutritious fruit. The Mango tree is the symbol of love, fertility and immortality. In India, the leaves of Mango trees are used in wedding ceremonies to ensure that the couple bears children. Mango benefits the skin, eyes, digestion, and is good for those suffering from stroke, and several types of cancer. Click below to find out about the cottage named after the “Food of the gods”. Papaya symbolizes love and protection and benefits the heart, digestion, the immune system, toothache, and the eyes, and is good for those suffering with prostate cancer, arthritis, parasites and depression. Christopher Columbus called it the “Fruit of the angels”. Click below to find out about the cottage named after this delicious fruit. Pomegranate symbolizes love and abundance and is believed to be good for treating infection, ageing, diarrhea, anemia, diabetes, menopause, blood pressure and arthritis. In Greece, it is traditional to break pomegranates on the ground at weddings and on New Year’s. Click below to find out about the cottage named after this “Jewel of Winter”. Get away from it all and take out your brushes or pen some verse. 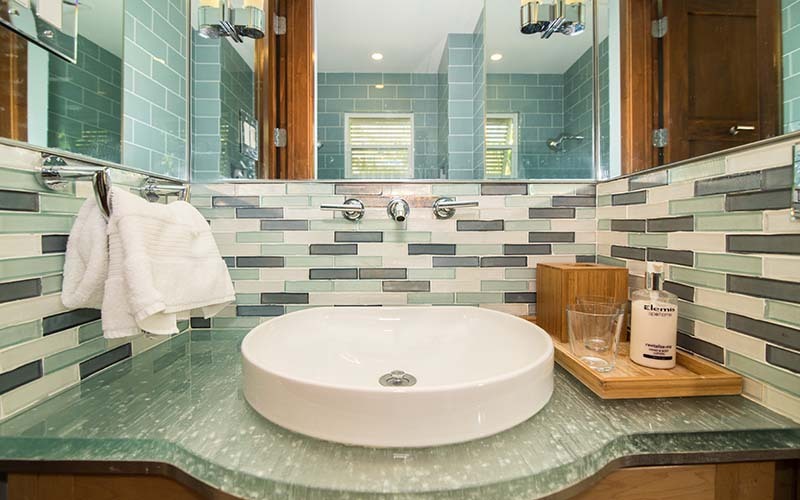 Sea Orchard Retreat is the perfect place to let the creative juices flow. No better place to read or meditate than in our cabanas. Wile away your days in the shade, listening to the gentle lapping of the nearby waves. 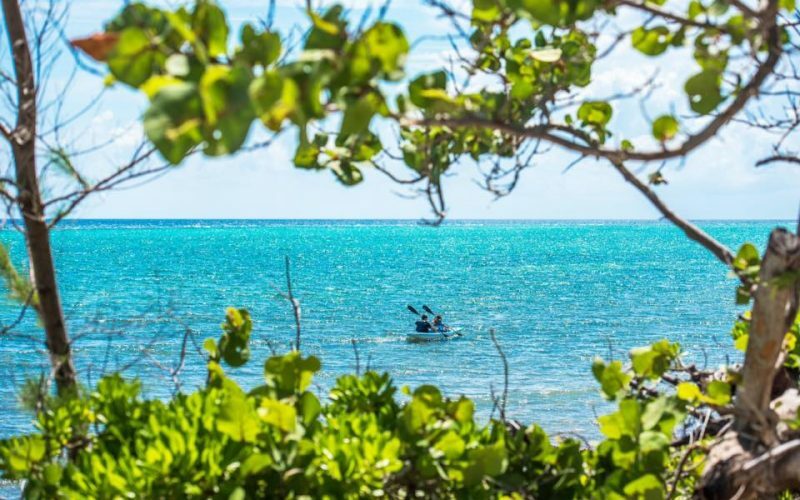 It is so invigorating to explore the shallow water, whether by kayak, paddle board or with a snorkel and fins. Or take a stroll up the beach to Barkers National Park.